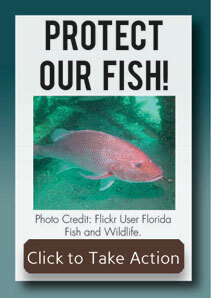 Thanks for taking action to protect our Fish. Absolutely signed,mshared and noted! Thanks, Cal. Dude! They not your fish, they are THEIR fish, just as you're your you! On the Pacific coast it has been found necessary to create marine sanctuaries covering most of the coast, to prevent overfishing. The Sea of Cortez once changed while we watched it, and did recover in one way, although the sharks are mostly gone still. Most of the commercial pressure is Korean, Chinese, and Japanese in the Pacific, while Spanish and others devastate the Atlantic. Pirate vessels still leave longlines and driftnets, and the sprawling excessively growing human population is emptying many places, even island sanctuaries far from the human throng. Noted. Signed without results - No targets found.